July 24th in WordPress Themes by Wordpress Jedi . Every professional needs to have an online presence these days. That applies to freelancers and professional consultants. 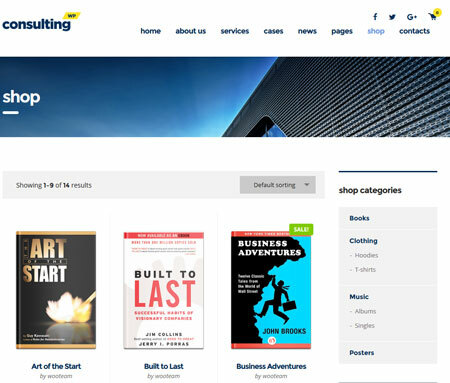 Consulting WP is a clean theme that lets you build a presence for your consulting practice. It comes with 4 skins and header layouts. You also get 3 service listing templates. 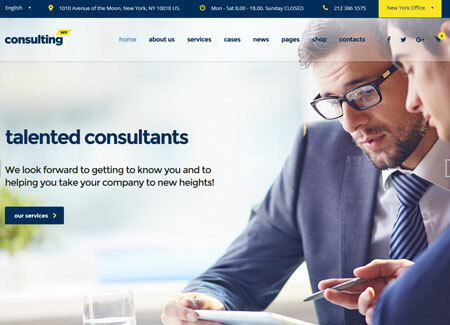 Consulting WP comes with a drag & drop page builder. It is responsive and ready for Retina displays. It comes with Google Maps integration and over 700 Google fonts. Want to maintain a side-blog or create an attractive page for your team members? No problem. Consulting WP comes with Visual Composer and WooCommerce support. It allows you to use a video background. This is a commercial theme by an Elite Author.